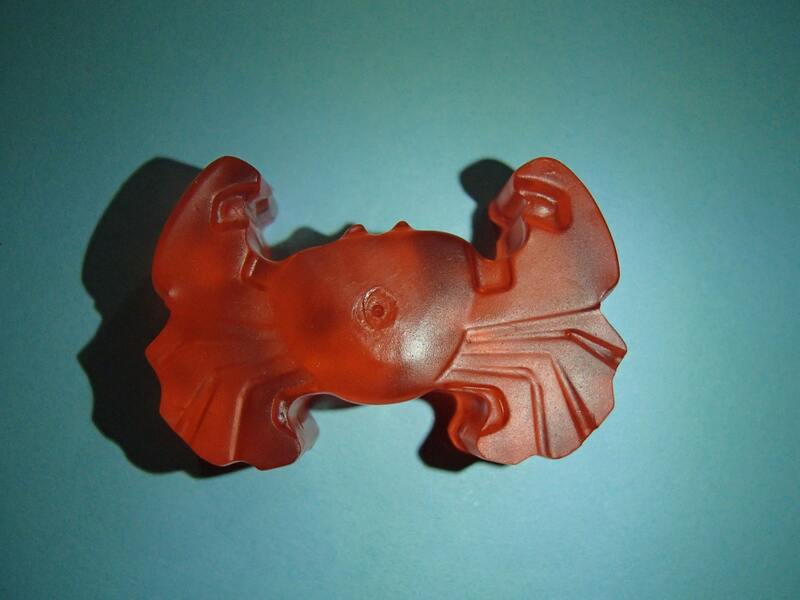 These Crab shaped glycerin soaps are fun little soaps for washing hands. They are great for using in beach themed bathrooms or for taking with on a beach vacation. They are colored red and scented Ocean. Each weighs about 0.5 ounces and measures ~1.75 inch by ~1 inch and ~0.5 inch thick.